We are a privately owned company offering only the best custom 1911s available. 1911 handguns are the only model we sell, we are exceptional at helping you choose the right gun for your needs. Browse our ready to ship inventory of 1911 pistols from top brands including Les Baer, Ed Brown and Wilson Combat or make an appointment to visit our showroom near the Galleria in Houston to talk to a 1911 expert. Designed by John M. Browning, the M1911 is a single-action, semi-automatic, magazine-fed, recoil-operated pistol chambered for the .45 ACP cartridge. The pistol served as the standard-issue sidearm for the United States Armed Forces from 1911 to 1986. The short recoil design, and larger caliber .45ACP cartridge were improvements over the previous .38 Long Colt revolvers that were in use at that time. 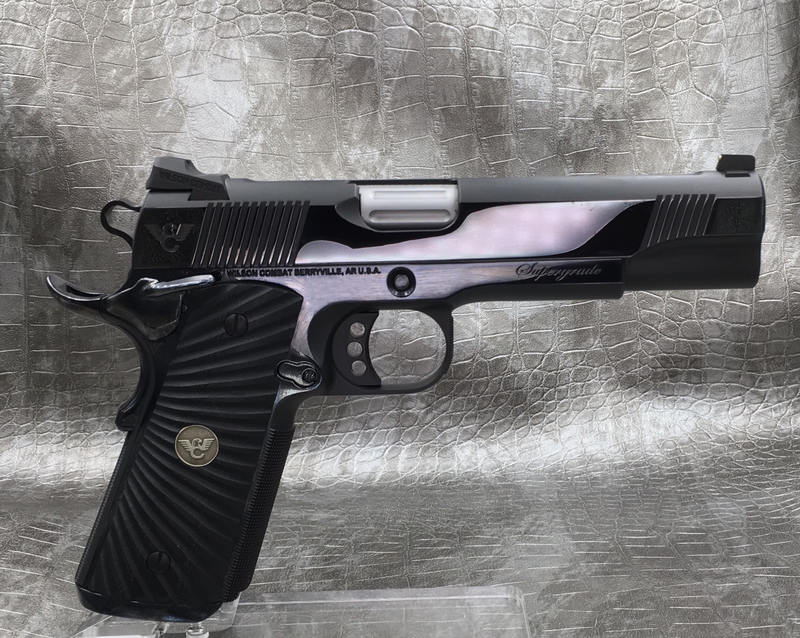 The modern custom pistols as offered by 1911 Custom Solutions, LLC. are all based on the original Browning design and offer the ultimate in accuracy and reliability in .45ACP.